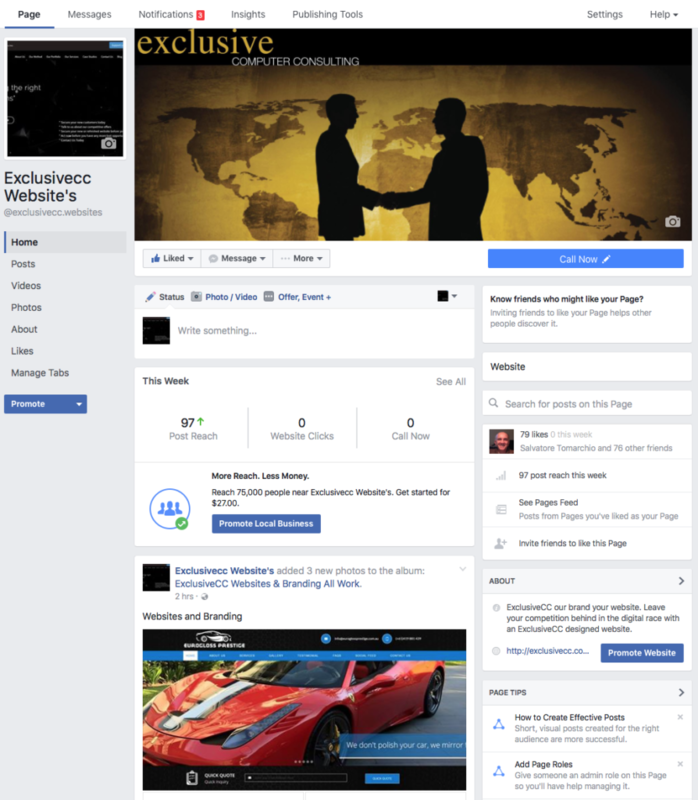 Our new Facebook page ExclusiveCC Websites is online to display our customer mock ups, logos and other media. Here you will find all our latest portfolio images from websites to business cards, we wanted to show you both our customer and future customer the high quality work we do and level of effort involved to giving you a high quality website or media design that you can be proud to call your own. We will keep this page updated with our latest work so you can see the excellent work we do. If you are looking for a website, logos or even business cards we have many solutions available at prices that are affordable without compromise on quality. Head over to the Facebook page to view the updated content now!